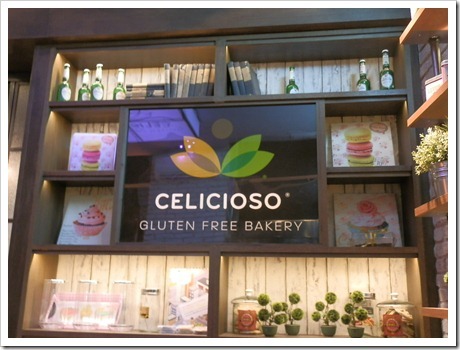 Finally I was able to go to CELICIOSO bakery and coffe shop, in Madrid downtown. I had read many good comments about this place where everything is gluten-free. Now I definitely can call it a “celiac paradise”. In second place, the variety is amazing. 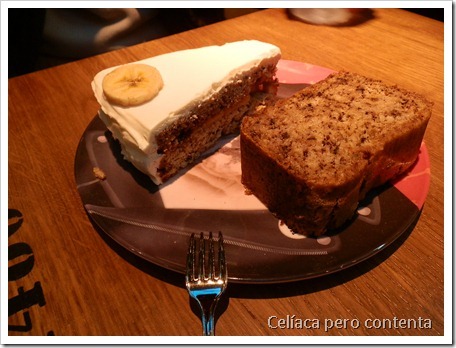 Celiacs are so used to have a few options and here there are so many different things: cupcakes of different tastes and colors, brownies, alfajores, cakes, breads, cookies, beer, lasagnas and other dishes to go. They also deliver to other restaurants. The place was packed and we have to wait 10 minutes or so for a table. I ordered “Banana Bread” which is sort of a banana pound cake. It was delicious. My “non celiac” husband had the Banoffee cake made with banana and sweet milk in the middle, covered with mascarpone cheese…superb!, even compared to non gluten-free cakes. 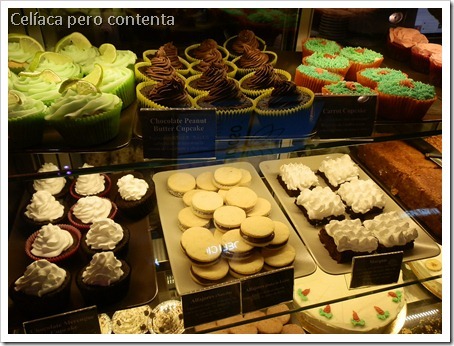 We also ordered some stuff to go: a couple of cupcakes, an alfajor, and a dried tomato bread. All these together with affordable prices make it a very recommendable little place. 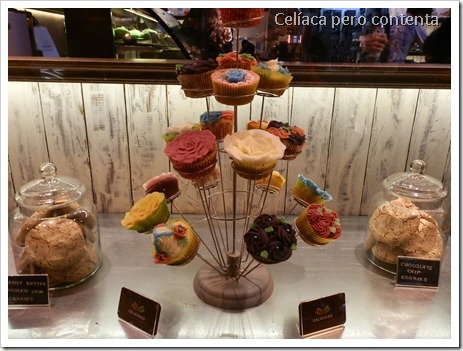 CELICIOSO is located in the Chueca district at Calle Hortaleza, 3, very close to Gran Vía. Enjoy !